Airbus delivered the first aircraft to roll out of its Mobile, Alabama assembly plant this week. 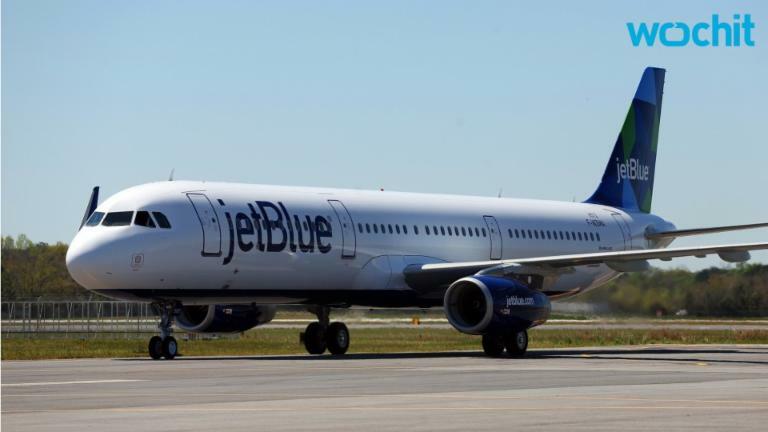 The aircraft, an A321ceo christened the BluesMobile, is destined for service with JetBlue and was presented at a ceremony attended by the media, dignitaries, and the plant's employees. The delivery ceremony took place roughly three years after Airbus broke ground on the $600 million assembly facility located on 53 acres at the Brookley Aeroplex. "I am immensely proud to be here to participate in this first delivery from Mobile," Airbus COO John Leahy said in a statement. "Going from breaking ground on this facility three years ago to handing over the first Alabama-produced A321 today is an amazing accomplishment." The mobile facility, along with Airbus' other plants in Toulouse, Hamburg, and Tianjin, assembles parts produced by suppliers around the world. For instance, the front of the fuselage is made in France while the rear and vertical stabilizer are built in Germany. According to Airways News, 40 percent of the parts found on the Alabama-built jet -- including its engines -- came from US suppliers. Airbus expects the Mobile plant to produce up to 50 aircraft per year by 2018 with the vast majority destined for service with US airlines. Airways News editor-in-chief Chris Sloan was one of the members of the media who was able to attend the event. The first Alabama-built Airbus rolled off the assembly line in late February and made its first flight over the skies of Mobile on March 24. ... Airbus COO John Leahy who noted that his company has done more than $16 billion in business with US-based suppliers. According to Sloan, there are nine other A321s currently working their way down the assembly line in Alabama. Eight are destined for service with American Airlines while the ninth airplane will go to Spirit. After the ceremony, Sloan joined JetBlue on the A321's delivery flight. At the controls were Captains Rick Smith (Right) and Bart Robert. The short 54-minute flight took the airplane to Lake City, Florida where the jet will be fitted with its WiFi and in-flight entertainment systems. The 190-seat Airbus A321 is expected to enter service in about two weeks.